FONTHILL, Ont. 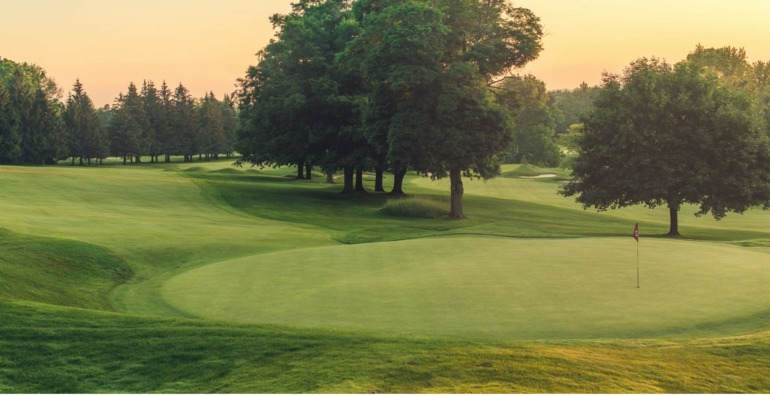 – 156 golfers ranging from 25-71 years of age will descend on Lookout Point Country Club from Aug. 27-30 for the 48th playing of the Canadian Women’s Mid-Amateur and Senior Championship. Four individual trophies are up for grabs at the 54-hole tournament in Fonthill, Ont. Competitors over 25 will vie for the Mid-Amateur title, players over 40 will be eligible to compete in the Mid-Master competition and those over 50 will play for the Senior championship. Finally, those 60-and-over will compete for the Super Senior title over the tournament’s first 36 holes. Designed in 1922 by one of the great pioneers of golf in North America, Walter J. Travis, Lookout Point Country Club boasts challenging greens, an unmatched landscape, and exceptional facilities. Lookout Point has hosted a number of championships, the oldest being the 1935 General Brock Open, which brought greats such as Walter Hagen, Ben Hogan, Sam Snead, and Gene Sarazen. In 2017, Australian Sue Wooster won both the Senior and Mid-Master titles at the Canadian Women’s Senior Championship in a playoff over Canadian Hall of Fame member Mary Ann Hayward, becoming the first international player to win the Canadian Women’s Senior Championship since American Ginny Burkey in 2006. Ashburn, Va., native Lauren Greenlief fired a tournament low 4-under-par 68 in the final round to finish a convincing wire-to-wire win in the Mid-Amateur competition, winning by 19 strokes. Canadian Diane Dolan won the 60-and-over Super Senior competition with a two-day score of 156 (+12). In addition to the four individual competitions, an inter-provincial team competition will take place during the first two rounds. In 2017, the Ontario team of Judith Kyrinis (Thornhill, Ont. ), Mary Ann Hayward (St. Thomas, Ont.) and Marion Reid (Etobicoke, Ont.) won the team competition with a two-day score of 18-over-par 306. After 36 holes, the field will be reduced to the low 70 players and ties from the senior division. Further to that, all Mid-Amateurs and Mid-Masters postings a 36-hole score which is equal to the last player(s) to qualify for the final round, will make the cut. A minimum of 10 Mid-Amateurs (Age 25-39) and 5 Mid-Masters (Age 40-49) will make the cut. 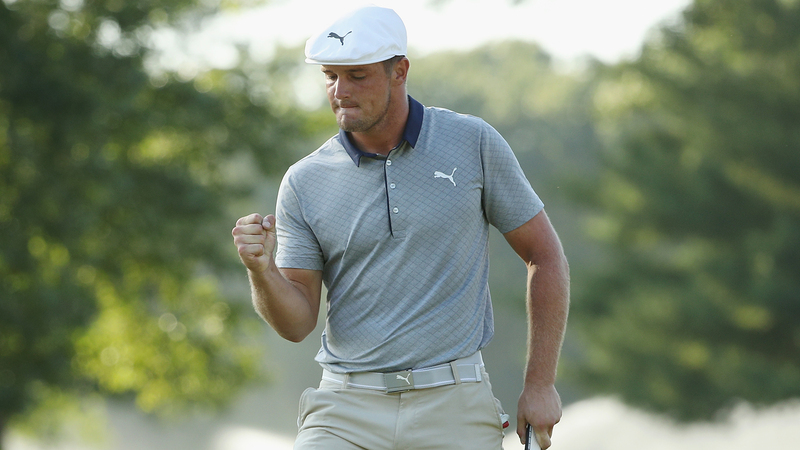 A tie for the championship will be decided by a hole-by-hole playoff immediately following conclusion of play. The winner receives an exemption into the 2018 U.S. Women’s Senior Amateur being contested at Orchid Island Golf & Beach Club in Vero Beach, Fla., from Oct. 6-11. Click here to learn more about the Canadian Women’s Mid-Amateur and Senior Championship. The 56-year-old comes in as the defending champion in the Senior and Mid-Master divisions after defeating Mary Ann Hayward in a playoff. Wooster made it to the round of 32 at the 2017 U.S. Women’s Senior Amateur before being defeated by Brenda Pictor. Diane Dolan of Gatineau, Que. 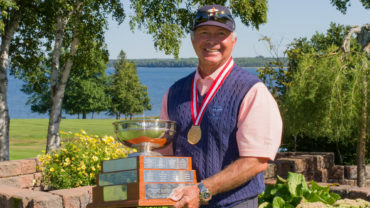 The 62-year-old won the 60-and-over Super Senior competition and tied for seventh overall at the event last year. Dolan recently came in second at the 2018 OVGA Senior Women’s Championship and fourth at the Women’s Provincial Championship at Golf Château-Bromont. Mary Ann Hayward of St. Thomas, Ont. The 58-year-old Canadian Golf Hall of Famer is a three-time winner of this event (2010-11, 2013). Hayward narrowly lost last year’s event, coming in second behind Wooster after being defeated in a playoff. Recently, Hayward won both the 2018 Women’s Champion of Champions and Eastern Provinces Match Play, in addition to coming in second at the Investors Group Ontario Women’s Senior Championship. She’s a four-time Canadian Women’s Amateur Champion (1993, 1996, 1999, 2004). Judith Kyrinis of Thornhill, Ont. The 54-year-old won this event in 2016 and finished fifth in 2017. Kyrinis won the 2017 USGA Senior Women’s Championship, making it her third victory at that event and only the seventh USGA champion from Canada and the first since 2005. She also won the 2018 Investors Group Ontario Women’s Senior Champion. Jackie Little of Procter, B.C. The 60-year-old won this event back-to-back in 2008-2009 and was tied for third last year. Little recently finished second at the 2018 Alberta Senior Ladies Championship. The 68-year-old Canadian Golf Hall of Famer has won this event four times, most recently in 2007. She was third at the 2018 British Columbia Mid-Amateur and fourth at the 2018 Alberta Senior Ladies Championship. Murdoch is a four-time Irish Senior Women’s Open Champion and won the 2007 Senior Ladies’ British Amateur. Terrill Samuel of Etobicoke, Ont. The 57-year-old is a two-time champion at this event, most recently winning in 2015. She finished third in 2017 at this event. In 2017, Samuel competed in the first USGA championship match between two Canadian competitors at the 2017 U.S. Senior Women’s Amateur Championship, eventually losing to Judith Kyrinis and finishing in second. She was third at the 2018 Investors Group Ontario Women’s Senior Championship. Five Canadian Golf Hall of Famers have won the Canadian Women’s Senior Championship. Marlene Streit, Gayle Borthwick, Alison Murdoch, Marilyn O’Connor, and Margaret Todd. Streit (1985, 1987-88, 1993), Borthwick (1994-1995, 1999-2000) and Murdoch (2002, 2004-05, 2007) are tied for the most Canadian Women’s Senior Championship victories with four each. Nancy Fitzgerald has the most consecutive Canadian Women’s Senior Championships wins – winning three straight titles from 1996-1998. The last non-Canadian to win was Australian Sue Wooster last year. The winner receives an exemption into the 2018 U.S. Women’s Senior Amateur at Waverley Country Club in Portland, Ore., from Sept. 9-14. Walter J. Travis designed and completed the course in 1922. Hosted a number of championships, the oldest being the 1935 General Brock Open, which brought greats such as Walter Hagen, Ben Hogan, Sam Snead, and Gene Sarazen. Have had only four PGA Head Professionals in its history. 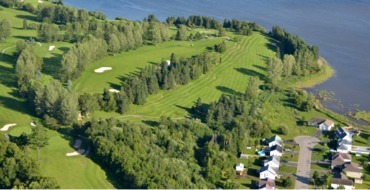 In 2013, Lookout Point was ranked 38th for the Top 100 Courses in Ontario. 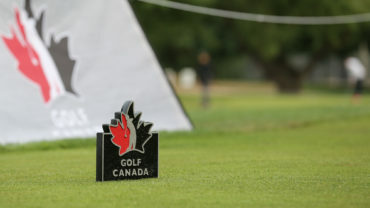 Click here for more information on the Canadian Women’s Mid-Am and Senior Championship.